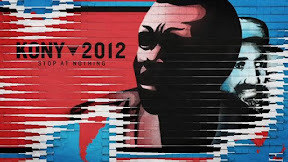 Yesterday morning in our Sunday Morning Gathering (aka Sunday School) I decided to just show the Kony 2012 video, released by Invisible Children, and discuss it with the students. If you haven't seen the video, you should watch it (and then show it to ten or twelve of your friends) and then google the controversy. Some have accused Invisible Children of being a scam, some have criticized them for oversimplifying and twisting the information to meet their agenda, and some (myself included) have expressed skepticism regarding their plan of action and the political measures they are endorsing in Uganda... But simplified or not, I agree with the sentiment that people should know about Joseph Kony and what he has been doing in Uganda for over two decades. The controversy surrounding this particular video (one among a dozen or so that I.C. has released) is both fascinating and fantastic. If everyone had watched the video and just blindly supported it, it may not have reached its current level of social vibrancy. But the debate is making us better and Invisible Children is accomplishing its goal... people know who Joseph Kony is and even the harshest of critics would be hard-pressed to argue that he should continue what he is doing. So far, I have tried to maintain a general posture of listening, trying not to draw conclusions without being properly informed. And honestly, how can you be properly informed from the comfort of a Southern California desk chair? But having followed Invisible Children since 2004, when I saw their first video telling of the horrific plight of the children of Northern Uganda, I am inclined to support their work and their agenda. I don't know exactly how the issue should be handled, my commitment to nonviolence makes me hesitant to support U.S. military advisors who have bullets and bombs at their disposal (even if they're Ugandan bullets and bombs). But I think there is power in caring. As I said to my students yesterday, "we want to be people who care about the things God cares about, whose hearts beat to the tune of God's heart." I showed it to my students because I want them to care. And in this world of social media where people from across the globe can be connected (even if only superficially) I am convinced that caring can have revolutionary force. When enough people really care, things happen! And I am sure that in order for such atrocities as those being committed by the LRA in Uganda to be made right, nonviolently as is necessary, people all around the world need to care.